We made it! We survived May.  Dark Sided had an absolutely huge month on the ground with some massive local events and some even bigger international experiences. Before we get to that, I want to personally thank everyone that ordered a Dark Sided Custom Jersey from our Store, we got so many tweets from fans and supporters this month showing us their jerseys and anyone that participated in our first birthday giveaway! Interactions like this are so important to us because without our supporters we couldn't have made it this far. As I mentioned previously, Dark Sided had a huge month of LAN events starting with the SMITE roster playing at the first ever Intel Extreme Masters in Sydney. Of‘course this was a momentous occasion because it was the first IEM to visit our shores but also the first LAN event for the team under Dark Sided. After taking a loss in the first game on stage the boys managed to regroup and gain a good lead early in the second game, but when push came to shove the boys weren't able to close out the game and lost in straight games versus Legacy Esports. Nevertheless it was great to watch them play up on the Community Stage at such a huge event. Personally, I got to learn a lot about SMITE and interact with some of the community members which is always great. Just a week later we had probably the biggest week in Dark Sided history. The Counter Strike roster set off to London to compete in the ESEA Mountain Dew League Season 24 LAN Global Finals which saw them face off against teams from both Europe and the United States. The team were set to face Sweedish powerhouse GODSENT in their first game of Pool A and the boys didn't disappoint. Pulling out all the stops after being 8-1 down on Mirage the boys managed to push the game into overtime but ultimately falling to GODSENT 19-17 in a super close finish. The final game of the group stage saw a runback versus GODSENT on Cache. The Dark Sided boys won the first two rounds before the Sweeds showed what they were made of dropping just one round for the rest of the half on the CT side. Second half was a similar story with Dark Sided off to a great start but it was too little too late with GODSENT closing out the game 16-11. Failing the defeat GODSENT resulted in not making the playoff bracket and eliminating the boys after quite an impressive weekend of Counter Strike. We managed to catch a bunch of the games over the weekend (while at BAM9!) really late at night and for me personally, the first game was one of the most thrilling games of Counter Strike I'd ever watched. Maybe I just wanted to see the boys come out on top so bad! Meanwhile, back in Melbourne everyone else was attending Battle Arena Melbourne 9 which for me, has been the highlight of the year so far. Naturally, coming from the Fighting Game Community (FGC) I would probably say something like that. It's always great to see people at what Esports people call "LANS" even though, there is very little networking done between consoles for a fighting game tournament. It was great to watch our Dark Sided Street Fighter V trio of Somniac, Falco and ZG team up for the SFV 3v3 tournament. I particularly enjoyed watching how much Somniac played the "team tournament" metagame utilising blind pick and changing up the team order. Each of the boys did so well on the weekend, both Falco and Somniac placing in the Top 32. Unfortunately ZG wasn't able to join them bowing out in the Losers Final of his pool after being knocked down by INFILTRATION but such are the woes of double elimination brackets in a tournament setting. Speaking of making it all the way to Losers Final in Street Fighter V, Wazminator having a breakout performance over the weekend showing us all the (now familiar...) force of a pad playing Boxer powering his way up the loser bracket but eventually falling to the legendary Sakonoko. However, this was but a warm up for Waz as his true test was to come to the day after in the Mortal Kombat XL tournament. He powered through his pool just narrowly avoiding a loss to SAGGAT83 with a rather large comeback and defeated long time rival Gilbagz in the opening round of Top 8. So close, yet so far to the trophy Wazminator had to face off against previous BAM champion GooGie in the Winners Final. Wazminator managed to defeat the reigning champion to make it into the Grand Final and in true fighting game story cliché fashion, the defending champion came back for revenge out of the Losers bracket. Wazminator was not phased though and managed to seal the deal and claim the title of BAM9 MKXL Champion! Seems like a lot went down that weekend at Battle Arena Melbourne 9 but I'm not finished with this story. Dark Sided still had Spud competing in Super Smash Bros Melee. Now, I'm not a huge Smash fan... I've never really sat down and watched a lot of Melee because usually when I'm around Melee I'm also around Street Fighter and that's where my interests lie but I gave myself a goal for the BAM9 weekend to become more interested in Melee and watching Spud destroy these boys in the Top 8 only dropping just a single game in the Top 8 was nothing short of amazing. There were some really great storylines that emerged from the Melee tournament at BAM9 like Spud being knocked down into Losers bracket during Top 64 by Zxv who is considered to be Australia's best (and only?) Sheik player. Zxv went on to terrorise the Top 8 eventually copping a loss to BAM9 runner up Sora. His amazing run would see him face off again with Spud in the Losers Final which was one of the best sets of the tournament with Spud looking to an alternate character to adapt to his opponent. Spud went on to face Sora in the Grand Final and win 3-1, 3-0 to become the BAM9 Melee champion. That was just the first two weeks of May. Lucky for me, not much out of the ordinary happened in the last fortnight of May. We've got a whole lot of stuff on the horizon across the board which I'm excited to share with you guys but now is not the time or the place for that. 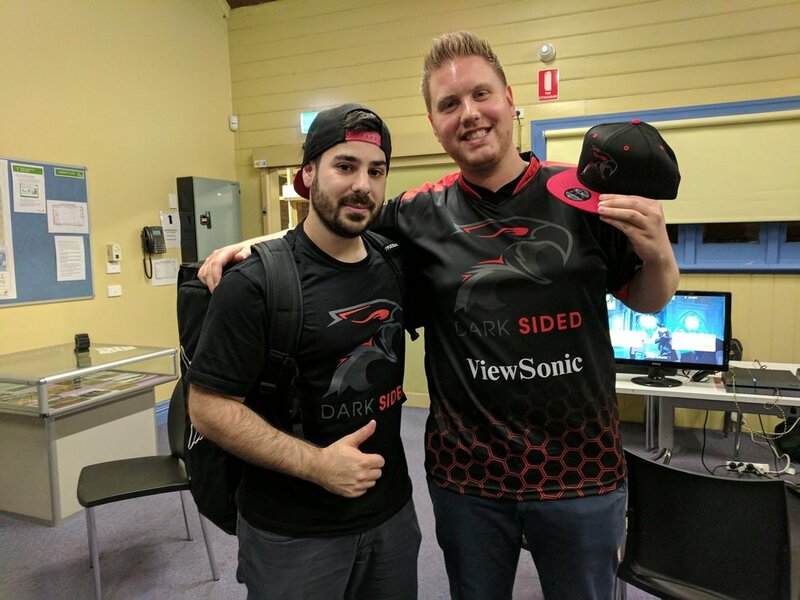 Just keep your eye on Dark Sided and hopefully I'll see you at the next event! As we draw closer and closer to BAM9, the Dark Sided players are still working hard to prepare for one of the biggest events on the Australian fighting game calendar. This time we're taking a moment to catch up with Xavier 'Somniac' Nardella. Steve: Hey Som, what have you been up to? How are your preparations for Battle Arena Melbourne 9 going? Somniac: Why hello there, lately I have been focusing a lot of my time in to fighting games as Battle Arena Melbourne is around the corner. Playing Street Fighter V and KOFXIV on a nightly basis with some Ultra Street Fighter 4 on the side every now and then. Steve: Ultra SF4?! Hahaha no way, I saw some of the guys playing it at the last CouchWarriors ranbat. Tell me about what happened at the Street Fighter V CouchWarriors April Ranbat, I saw you win a really close set versus Reepuplzorg and then take a tough loss in the Grand Final versus Zed. Some changes to be made there to deal with Zed's Necalli or maybe just trying something new in terms of strategy? Somniac: I wasn't really happy with my performance in general [at the ranbat] and wasn't able to adapt very quickly to the strategies of my opponents, I had a similar experience online against some other opponents too. I've had a think about it and in general I was being too rigid with my gameplan. Often I would be dominating a round but be unable to close it out and put myself at risk trying to do so, losing quite frequently in really strong positions. As Street Fighter V does not have chip damage, my opponents can choose to take their time to make a comeback even on zero life. I've made a conscious decision to save critical art meter for super more often to prevent this tactic in the future. As super will close the round out if they activate V-Trigger and there's not much they can do about it I think it's a more solid play going forward. Steve: That sounds like good plan, it sounds like it will also allow you to be in a good spot to change your mind should you want to just EX Devil's Reverse or commit to another strategy. Speaking of strategy and self reflection/improvement, I know you're quite the lab monster, spending lots of time practicing in front of that ViewSonic monitor no doubt! What are your thoughts on the Season 2.5 changes for Street Fighter V? Better for the game or worse? Somniac: Been spending a lot of time playing and labbing lately, just reached Master rank on the Street Fighter V leaderboards after getting my ViewSonic so I'm thinking there's a correlation there! In regards to the Street Fighter V patch I really wish they wouldn't have made any major changes mid-season, the fact that the patch is coming a week before Battle Arena Melbourne (which has since been delayed) is a huge worry to me because I can't effectively know what they might change so practicing may or may not be relevant. I'm not too happy with the overall direction of the game but it seems like quite a few American players are so it's who they're choosing to listen to. I'll ride it out regardless because I'm a fan of the franchise. Steve: How about this new King of Fighters XIV 2.0 patch? Game seems almost new again (it's not even that old!) in terms of balance. Somniac: I'm loving the KOFXIV patch changes because it feels like more characters are viable now, seeing a lot of different characters show up in tournaments around the world which is great to see. With the KOFXIV balance it's mostly changed some of the easier and abusive strategies, characters are still good but require a different harder path to use them. I think K' is still strong and I'll use him but I'm also trying out Shun'ei as a potential team member. I'm also having a lot of fun with Yamazaki as of late despite him being quite clumsy. I'm overall quite happy with the balance patch and it's also added in additional training mode options which I'm finding really helpful to figure out common situations. Steve: SNK are really giving it their all when it comes to KOFXIV. It's really good to see them doing what's best for the game. On another topic, recently BornFree did an interview with Bon-chan who said that there was too much disparity in V-Skill between characters in Street Fighter V. As a crazy kinda of question, if you could change M.Bison's V-Skill in any way (big or small) what would you change? For those playing at home, currently he can absorb an attack and (optionally) shoot back a fireball at the enemy. Somniac: I think Bonchans interview was really accurate and I've bought it up myself a few times that V-Skill's aren't balanced well. Some characters can naturally combo their V-Skill or use it quite frequently and others can barely if ever use it. I like M.Bisons V-Skill change in Season 2 with his ability to store it but I can't help but think it's totally useless in most non-fireball match ups outside of some risky fringe situations. Compare this to Balrog or Ibuki V-Skill which they can use in any match up. Personally I like the fireball reflect V-Skill and I don't want to see it gone, but I'd like the ability to change my V-Skill, maybe give me something else to use against non-fireball characters to allow me to build V-Trigger during combos. Steve: That would be pretty cool, a V-Skill/V-Trigger select like in other Street Fighter games where you could choose a different Super (SF3) or Ultra (SF4). Lets talk more about BAM9, one of the big draw cards this year is being a Capcom Pro Tour Premier event which naturally draws international talent. Daigo and Infiltration have already been announced but I've heard rumours about all kinds of players coming out. Who would you like to see or even play against at BAM9? Somniac: With so many international players coming to BAM9 I am excited to play any of them, last time I played Infiltration he was able to close it out 2-1 so I'd like to get a runback of that match to see if I can take him out. Steve: I really hope Infiltration does make it down to BAM9, I know he registred but he did pull out of Northern California Regionals (NCR) just the other week saying that "I'm not ready to compete on the Capcom Pro Tour". Either way, the show will go on... Historically, local players have learnt a lot when international players come out to compete, do you think history will repeat itself this year? Somniac: I'm looking forward to our local players causing upsets, I think there are very strong players in our scene and I wouldn't be surprised if it wasn't so easy for the international players this time around. Steve: Earlier you mentioned that you attained Master rank the CFN leaderboards in Street Fighter V, during your climb you must have come across a lot of strong local players, do you think any of these notorious online names will make a big splash at BAM9 or will it be the same names we've been seeing from OHN14 and previous tournaments? Somniac: A few the names to look out for... I think that Nooblet will be a contender with his Akuma and there are several strong contenders from Sydney. I expect my Dark Sided team mates ZG and Falco topple some big names as well. Steve: Make some predictions for BAM9? Highest placing Aussie? Who will win Street Fighter V at BAM9? Be sure to catch Somniac on Twitter and you can also come down and cheer for Somniac at Battle Arena Melbourne 9! 13-14th of May at the Melbourne Exhibition Centre. With #BAM9 on the horizon, the Dark Sided players have been working hard to prepare for one of the biggest events on the Australian fighting game calendar. We took the time to catch up with Mortal Kombat X juggernaut and streamer Tasman 'Wazminator' Stephenson. Steve: Hey Waz, what have you been up to? how are your preparations for Battle Arena Melbourne 9 going? Wazminator: I've been focusing a lot on building my stream audience and preparing for BAM 9 mostly just by playing at YSB every month and online throughout the week. Steve: As a player, which do you feel you benefit the most from offline training mode grinding combos/setups/tech or playing online and fighting a live opponent? Wazminator: I feel that you will benefit from playing offline more than anything, training mode for execution, setups, tech etc will only take you so far. From my experience a good balance of both is one of the most practical ways to become a better player. Steve: So playing online is like a necessary evil! If you were to describe your playstyle what would it be? Wazminator: I would say my playstyle is a good mix of everything, for the most part I like to play a strong neutral but once I get a knockdown I'll play my frame trap/throw game, depending on the situation I feel like I'm able to play however I need to for that situation, defensive, offensive, patient, etc. Steve: I guess that would make you something like a pretty good all-rounder in your eyes. Alright before we continue, something a little off topic but something the people absolutely need to know. If you had to choose, would you rather anchovies on a pizza or pineapple on a pizza? Wazminator: To be honest, I hate both, give me a meatlovers pizza and I'm good. Steve: You recently hit Platinum rank on CFN in Street Fighter V, how are you finding the game? Is there a big difference for you trying to play a Capcom style of fighter coming from a NRS background? Mentally different or executionally different? Wazminator: I've been back and forth with Street Fighter V since the release, I've tried a few characters but never really felt at home until I started playing Balrog. Coming from NRS to Capcom has helped me tremendously in the learning process, they are completely different games but taking my fundamentals that I learnt from MKX to SFV definitely helped. Steve: Lets talk some more about Mortal Kombat X, you've seen quite a bit of tournament success recently winning York Street Battle #49 in March and also winning the first ever Gamestah MKX online tournament. Is it easier winning at home in front of your ViewSonic VX2457 monitor or are you a player that thrives up on the big stage? Wazminator: Okay so, at the moment in MKX I am super confident in my play so be it online or offline, it doesn't make much of a difference to me anymore. However I would like to mention that taking out the Gamestah MKX tournament on my Viewsonic Monitor this weekend was a blast! Steve: No doubt you fought some familiar faces in both tournaments, do you have any rivals within the Aus MKX community? Are there players that help you improve your own game by training together, sharing tech or is there maybe a more sinister rival that you just can't let them get ahead of you? Wazminator: I feel like I have no true rival throughout the MKX community, although I would say throughout most of MKX I trained with Castiel, one of the strongest players in our scene and we were always trying to better one another. As for the threats, recently I'd say Gilbagz is my biggest threat, he has taught me so much and knows my gameplan in and out so he is always a huge threat. Steve: Gilbagz was the man that put you into losers for the Gamestah MKX tournament but ultimately you came back to beat him in the Grand Finals. Interesting... Lets talk Injustice 2, it's coming out pretty soon, Excited for this game? Any characters you have your eye on? Sticking to your original Injustice pick or playing something new? Wazminator: YES! I am so excited for Injustice 2, so far I'm interested in Poison Ivy and Swamp Thing, I did play some Atrocitus in the beta so if he stays the same as he was I would definitely be keeping him in my pocket. Steve: How does Mortal Kombat X perform when Injustice 2 comes out, is it like Capcom where you play the leading title and nothing else? Wazminator: The way NRS works is similar to Capcom, everyone will go to Injustice 2 but the people who really enjoyed MKX and want to see it live will still continue to play it alongside Injustice 2. Steve: I hope MKX continues well after Injustice 2 drops. Moving on, I'd be surprised if people didn't know this but you're quite a keen streamer, I see you bonding with the rest of the Dark Sided team over some Player Unknown's Battlegrounds in your ZQRacing chair. Hows that been going? Is it something you enjoyed from the beginning or did you have to find your stride with it? Wazminator: Streaming has been a really fun time since I began in August last year, I never thought it would give me some of the opportunities it has so far. I always have enjoyed it and still do just as much as I did from the beginning, seeing all the wazHype emotes in chat is definitely a highlight every stream, always makes me laugh seeing my own face as an emote. Steve: I'm actually a fan of wazFail more than wazHype, one of my favourite emotes in our Dark Sided Discord. Finally, be honest with me, who's going to win Mortal Kombat X at BAM 9? Wazminator: I can personally guarantee you that I will be taking BAM 9 MKX, my past 5 tournaments that I have entered I have won and I don't plan on stopping anytime soon. Be sure to catch Wazminator on Twitter and on TwitchTV also you can come down and cheer for Wazminator at Battle Arena Melbourne 9! 13-14th of May at the Melbourne Exhibition Centre.